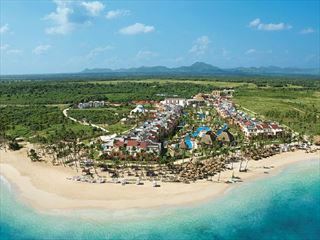 One of our favourites in the Dominican Republic, Excellence Punta Cana is an all-suite colonial-style resort. 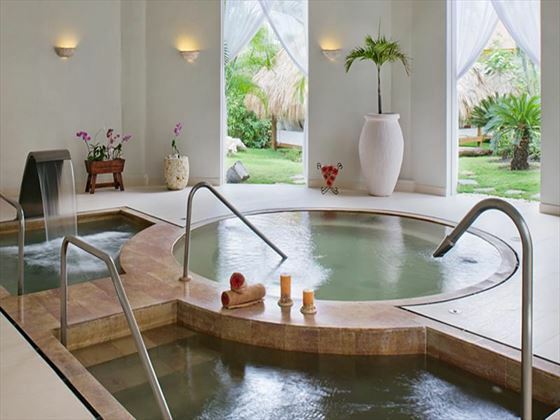 It is for adults only, so you can enjoy a tranquil and relaxed atmosphere in a highly romantic setting. The classic colonial architecture and pretty tropical grounds make the perfect setting for an utterly relaxing Caribbean holiday. 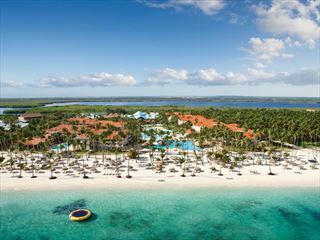 But our favourite thing about this resort is the truly huge and beautiful palm-fringed beach, where cobalt blue water laps at the fine sand. Unfortunately the sea does get quite choppy so swimming isn’t always permitted – the resort does have two excellent pools to make up for it. 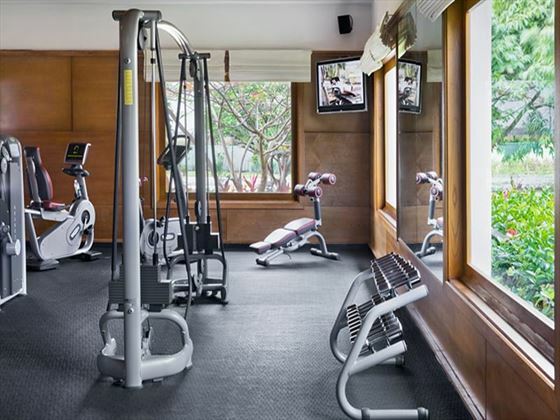 There is free Wi-Fi all across the resort and a huge range of activities to ensure that you never get bored. 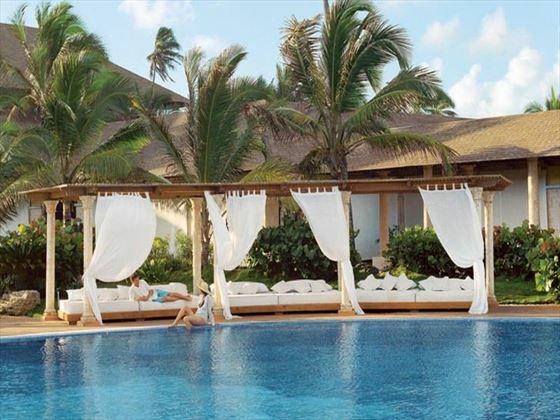 Of course you could spend your whole holiday just relaxing in the sun too – we wouldn’t blame you. Top Tip: The resort has a number of brilliant restaurants, but The Lobster House is definitely our top pick – try any of the delicious seafood options. 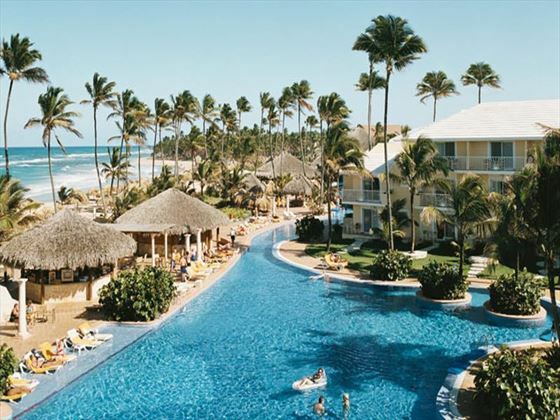 This sophisticated resort is located on the east side of the Dominican Republic coast, boasting a stunning stretch of white sand beach and framed by a luscious coconut palm grove. 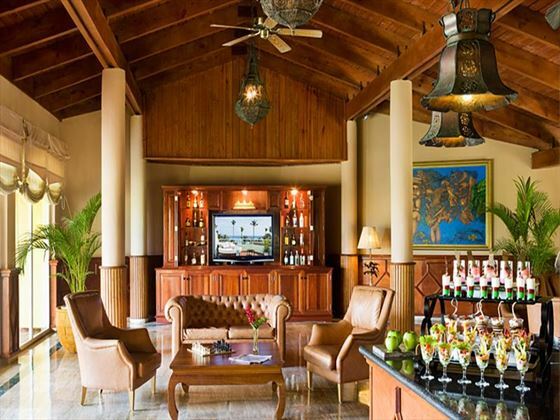 It's a true tropical location, and an extensive of the resort's luxurious vibes. 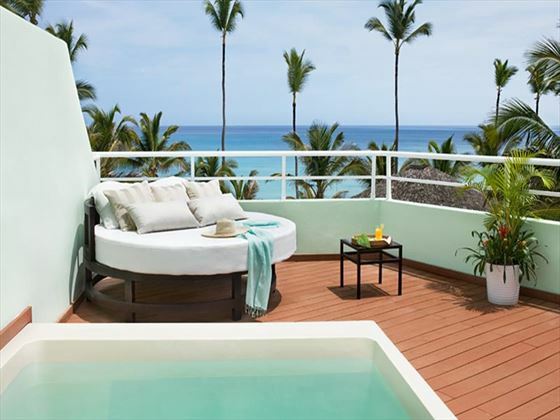 One Bedroom Imperial Suite – these huge suites offer private and furnished terrace with outdoor jetted whirlpool bathtub for two and full views of the Caribbean Sea. 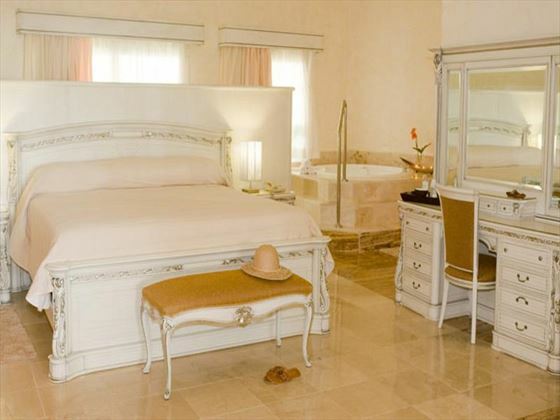 The room includes a four poster canopy king bed, wet bar, separate dining room, separate living room, separate kitchen, full marble bathroom with private massage room. There are nine fantastic dining options, spanning virtually all the cuisines of the world, none of which require reservations. There is also room service that is available 24 hours a day.